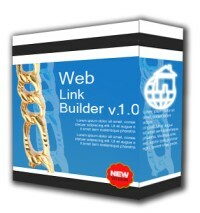 ﻿ Web link builder, SEO software from WTD. Scan the web for links. We present you with our new Online Shop. Feel free to visit it and explore a variety of software for any need. Scan the web for link partners !! A must have for webmasters and seo experts. Find link partners, directories and search engines to submit your site in a snap. Drive traffic to your site from search engines. A tool writen by SEO professionals has been tested and proven to rise ranking in Google, Yahoo, msn etc. Find directories and search engines. Check where your competition is linking. Export links as text (.txt) format or Excel format (.xls) for later use. Stand out from the competition,raise your search engine ranking and keyword relevancy, climb higher in results and drive precious free traffic from the search engines. Find the perfect relevant link partners. Locate partners that are willing to exhange links. Save time and money from expensive SEO plans. Windows platform ( 98,Xp,ME,2000,Vista ). 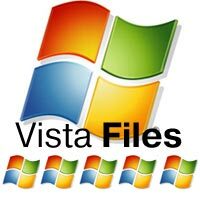 Non Vista platforms require Microsoft.NET framework v2.0, or higher. Internet Exprorer 5.5 (or higher) . We are currently upgrating our software please try again in a month. 1. Install it to the same directory as previous installation. 2. Your settings, registration data etc, won't be lost. 3. Dont uninstall previous version. See all our Software Titles. Hotels and villas in Greece. Mediterranean diet and Cretan products. A solution for Real Estate Agents. A freeware software to organise your contacts.